These Fairfax & Favor Mens Trafalgar Boots are great for countryside pursuits as well as stylish enough to complete any outfit. These robust boots feature a rendered-rubber commando sole for grip and durability as well as a padded insole for comfort. Made with a water-resistant, breathable membrane to combat the weather. 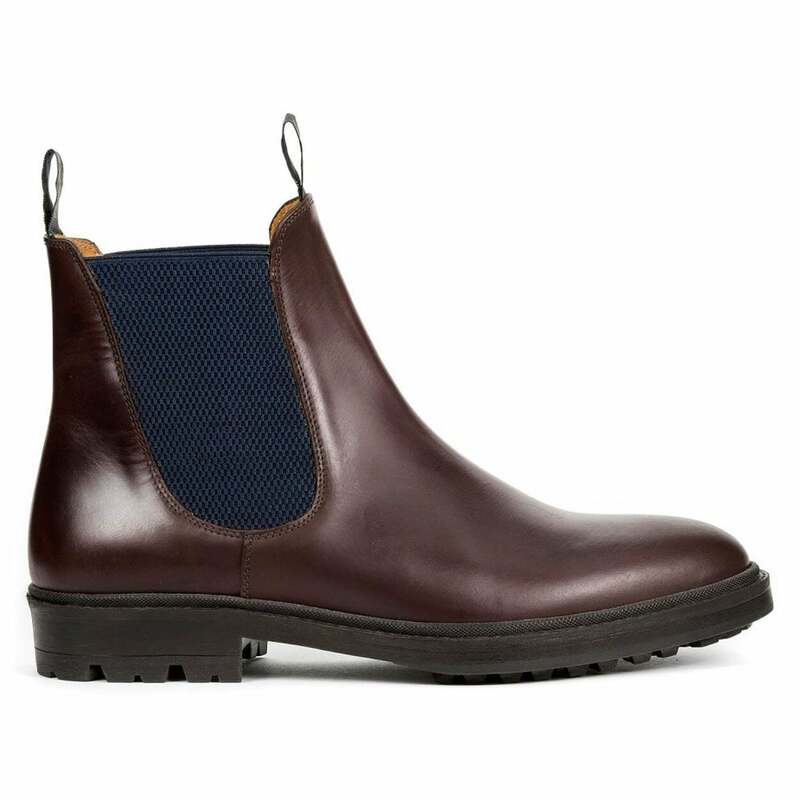 These Trafalgar boots have Fairfax & Favor signature navy blue elasticated panels and practical pull loops at the front and back. Care tips - It is recommended to treat these boots with Suede and Nubuck Protector or Neutral Leather Cream to improve longevity. If the leather is exposed to excessive mud or water, clean with a damp cloth and allow to dry naturally, then re-apply treatments.